Envirofan ceiling fans have been made since the 1970s, they are still being made courtesy of Northwest Environmental Systems of Wisconsin. The majority of Envirofans were commercial and industrial fans, however they did also offer residential lines of fans during the 1980s. Some of the residential fans were made by SMC and Evergo. Envirofans can also be found labeled 'Banvil' which was originally the parent company. Banvil is also still importing fans as 'Banvil 2000' of Canada. The majority of Envirofans have been quality, the majority were also imported industrial fans or residential fans with an industrial design. These fans are very simple and are not likely to encounter problems other than the occasional oiling/bearing problem or capacitor issue. They did offer one model (made by Evergo) that used a unique dual-pullchain variable speed control that was subject to breaking if handled roughly. Later residential Envirofans are subject to the same repairs as all imported residential fans including capacitors and pullchains. 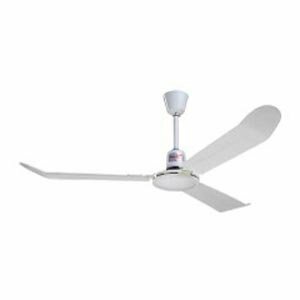 EnviroFan Silver Line Industrial Grade Down Blowing Ceiling Fan. Heavy Duty Grade, White with wire leads. 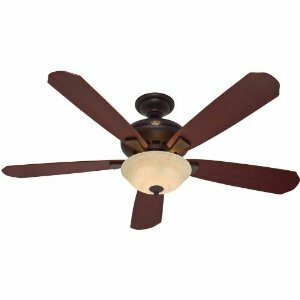 EnviroFan Bronze Line Light Commercial Ceiling Fans. EnviroFan Gold Line Industrial Grade Ceiling Fan with 3 Prong Plug in black finish. 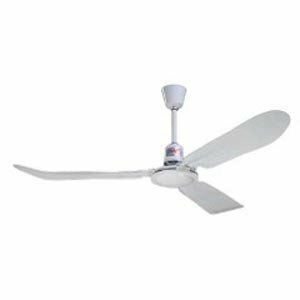 WhisperWind Motor - CFM = 6356, Watts Used = 85, CFM Per Watt = 75 Includes: Five Reversible Brazilian Cherry / Medium Oak Blades - (60" Span / 12 Blade Pitch) Includes: Three Fan Speed Pull Chain & On/Off Light Pull Chain (2) 60B10 - 120W Total Light Downrods are Available Hunter combines 19th century craftsmanship with 21st century design and technology to create ceiling fans of unmatched quality, style, and whisper-quiet performance. Using the finest materials to create stylish designs, Hunter ceiling fans work beautifully in todays homes and can save up to 47% on cooling costs!